A beautiful and charismatic actress, a sensitive and immensely gifted director, a scheming, wily but brilliant manager 'Mohini' is the pulsating saga of three individuals, each driven by an obsession. Set in the backdrop of the bold and brazen world of Bollywood, it is a tale of passion, intrigue and suspense. The narrative moves at a roller-coaster speed and captures love in its myriad shades: infatuation, romance, commitment, lust and obsession. A young girl growing up in the backwaters of Bollywood nurses a burning desire to become the number one star in the industry. In her ruthless and sometimes reckless pursuit, she uses and is used by many individuals. However, there are two men in her life who love her to absolute distraction. One she betrays and the other she rejects. 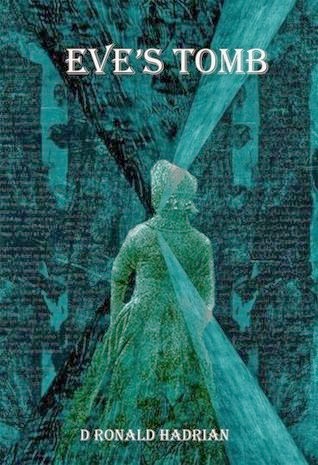 Both unleash vengeance and in a strange quirk of serendipity are pitted against each other as the novel hurtles to a throbbing, thrilling climax. 'Mohini' offers an insight into the biggest film industry the murky manipulations, the dirty deals, the shameless shenanigans, the tears behind the glycerine, the pain behind the paint and the suffering beyond the celluloid. Ramendra Kumar (Ramen) is a writer by passion and is Chief of Communications, Rourkela Steel Plant, Odisha. An award-winning author with twenty-three books to his credit, he spins yarns mainly for the young and the young at heart. He also dabbles in satire, poetry, fiction and travelogues. His stories have found a place in text books and anthologies published across the world. Ramen, an inspirational speaker and storyteller, is a regular at leading seminars and literary festivals, both in India and abroad. Nothing in India can match the enigma surrounding Bollywood – the term used to refer to the Mumbai based Hindi Film industry. With crores of investment on stake, and hordes of dreams carved and shattered on a daily basis, the mysticism surrounding this magic world surely surpasses everything else, including Politics and Cricket. The lives of film stars, their activities and secrets are always a hot topic for gossips, and as such, a book based on such a plot will surely entice the reader in you. Ramendra Kumar’s ‘Mohini’ is a tale of a young girl who dreams of making big in Bollywood. With the help of his manager, the ‘Bollywood Chanakya’ Vicky, she quickly climbs to the top of the ladder. However, the rise isn’t free from its share of compromises, and Mohini had to shed her inhibitions to achieve success and fame. Never the one to stop herself from winning in the garb of needless morals, Mohini sleeps her way into stardom, soon catapulting as the Number One heroine of Bollywood. However, not everything goes as she plans, and soon vengeance by the man who she had rejected strikes her real hard. Will she survive the blow, and get back on her feet, that’s what the climax of the story is all about. ‘Mohini’ is a book you will enjoy reading. The pace and the twists keep you glued, and makes it a real page-turner. Whenever you finish reading a chapter, your curiosity will get the better of you and you will wonder as to what would be happening next. As a result, you will finish up reading the whole book in a matter of a few hours. The characterization of Mohini is well sketched, and her dreams and desires are reflected aptly. The only thing I found lacking was the emotional quotient. The story fails to get into the depth of the characters, especially Mohini, and bring out the intricacies of her feelings. 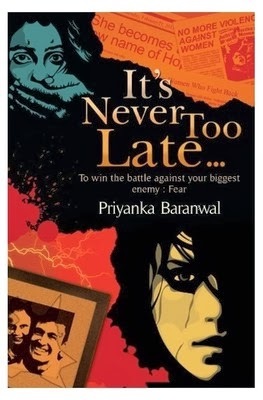 As such, the story might not touch your heart, if you are expecting for a roller coaster emotional journey of a Bollywood heroine, but in case you are not, then this book is a good read for sure. Vicky as Mohini’s guide is a well-crafted character, and with shades of grey, he surely is a reader’s delight. Vicky’s plans and ideas keep you guessing, and he is definitely the best thing in this novel. His acts keep you engaged, and his unpredictability plays on your minds. At times he is lovable, and on other occasions, dangerous. But then, he plays a pivotal role in the rise of Mohini. 'Mohini’ is a quick read, and you would enjoy it if you are a movie buff. The story beautifully portrays the murks and manipulations in the industry, and highlights how survival in Bollywood is almost synonymous to waging a war. Ramendra is a good story-teller, his style swift and crisp. However, a bit of attention towards detailing and showcasing the sensitivity of the key characters would surely have helped the story-line turn out much better. "I Believe In The Power Of Light That Dispels Darkness And Overcomes Fear"
Vivek Banerjee is a pediatrician by choice and a writer by chance. His debut novel The Long Road, which was well received by the readers, was published by Cedar- an imprint of PustakMahal in December 2010. He has contributed short stories to Chicken Soup for Indian Doctor’s Soul (Westland), Shades of Love (Grapevine India), Kaleidoscope (Parlance publishers) and Shades of Sin (APK Publishers) and www.litizen.com. 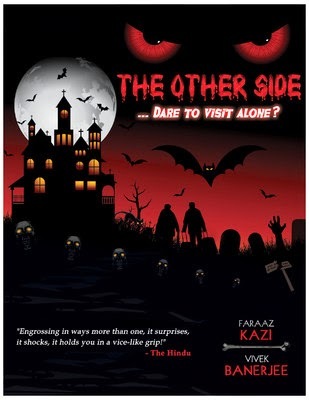 To read the full review of The Other Side, click here. 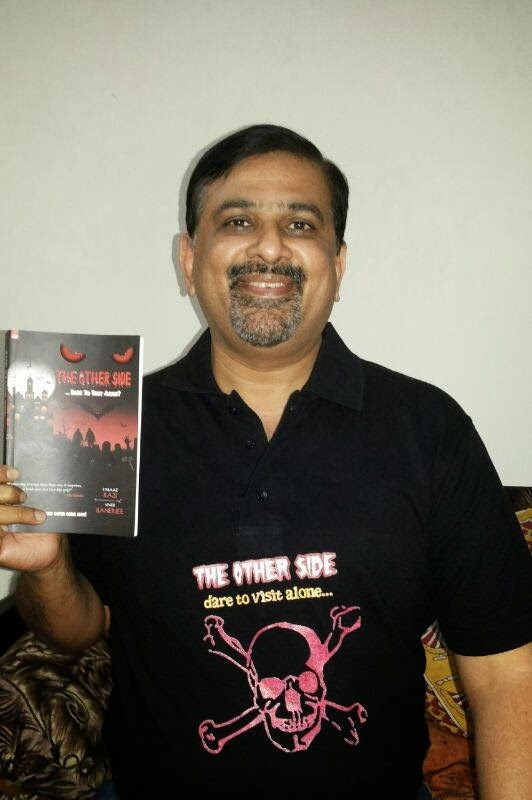 Congratulations Vivek on the superb response to ‘The Other Side’. Reading it was a wonderfully ‘scary’ delight, and we would like to know more about you, your life and your books. In case you find any question offensive, you can choose to ignore it. I apologize in advance for such instances. Let’s begin with knowing more about you, your education, career and family life. I was born in Jodhpur, Rajasthan and grew up in different cities. My dad worked for Northern railways and the regular transfers and postings resulted in frequent changes of school and many sets of friends who I am still in touch with. I am a trained Pediatrician and have a successful practice. My wife Sonia is an Obstetrician. My son is training to be a Computer Engineer in Bangalore and my daughter is in school. Medical diagnosis and writing stories are like chalk and cheese. How did the amalgamation of the two happen? No I don’t think so. Many well-known writers have been doctors from the field of medicine. Michael Crichton, Robin Cook, Taslima Nasreen and A J Cronin come to my mind. Not that I am comparing myself to the greats. But yes, a Doctor is privy to many things like birth, death, sickness and raw human emotions. He/ She is in a position to observe the myriad colours life from very close. So the doctor can be a very effective writer when it comes to portraying human feeling or emotions. You have featured in quite a number of books. Tell us about them. The Long Road, a novel about young doctors was my debut novel. It did get a fair share of critical acclaim and is very close to my heart. 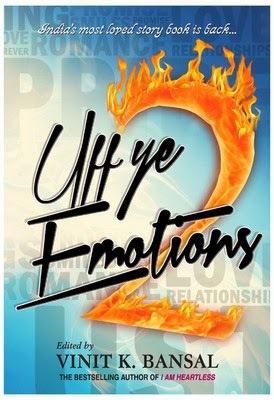 I have also written for various anthologies like Shades of Love, Shades of Sin, Carnival and Kaleidoscope. I won the best story award for The Hunter, my contribution to Kaleidoscope. I am also a part of Chicken Soup for Indian Doctor’s Soul. What has been your most satisfying story till date, which you have penned down? Also, which story do you feel could have been written in a better manner? I always feel that I could have done much better when I read any of my stories later. But I am very sentimental about The Long Road. Out of the short stories, I would rate Ayesha, which was published in Carnival, as my best. I am also fond of my stories in Shades of Sin. Talking about ‘The Other Side’, how was the entire process of writing this book? How easy or difficult is it to write a book with a co-writer? It was a breeze. I have loved ghost stories ever since I was a kid. I grew up reading Satyajit Ray and Leela Majumdar in Bangla. The influence of these greats shaped my stories for this book. As for my co-writer Faraaz Kazi, he is like a younger brother or a favourite nephew. I am almost twice his age but we get along fine. I found it very easy to work with him. Which is your favourite story in ‘The Other Side’? The Long Weekend is my favourite. I loved the planchette part and the twist in the end. And the two protagonists, Sachin and Shikha, are almost real to me. It seems that I have known them for years. I am also partial to The Muse Comes Calling. Do you personally believe in ghosts? Are any of the stories in ‘The Other Side’ inspired by paranormal happenings that you might have experienced? The honest answer would be that I do not believe in ghosts. But I believe in the power of darkness, the power of fear and above all in the power of light that dispels darkness and overcomes fear. 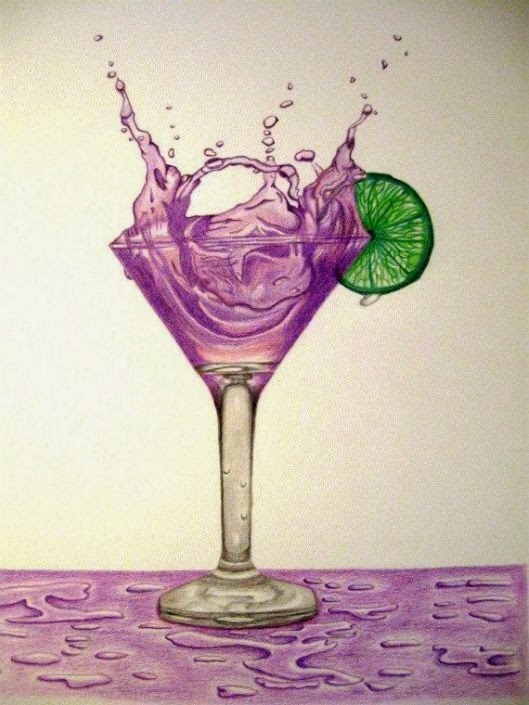 What are your other hobbies besides writing? Also, what are your upcoming books this year? 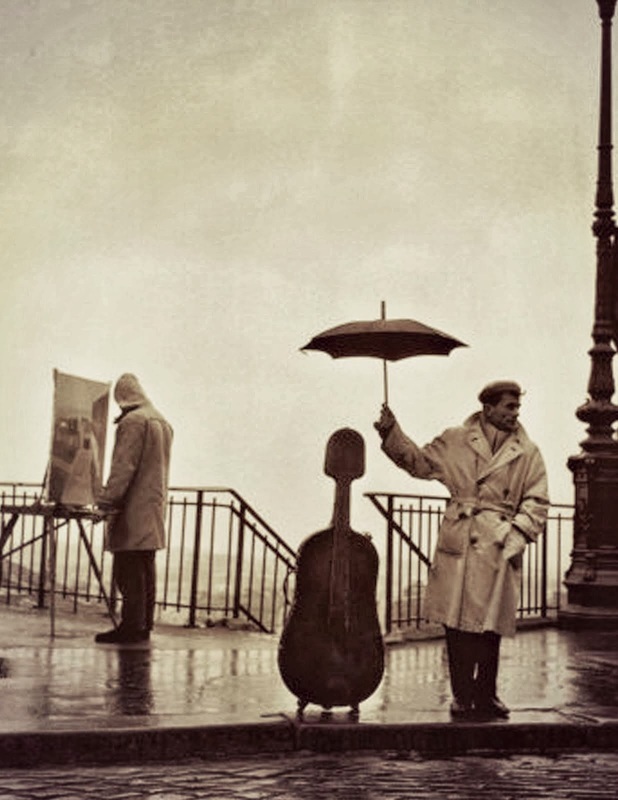 I love reading, listening to music, travelling and photography. Bird photography seems to be my latest passion. As for further writing, there are no definite plans as of now. The Other Side is a bestseller and I am a part of a classy anthology like Carnival, so I can say providence has been kind to me. But yes, I do dream about writing a block- buster novel. Dear readers, love me or hate me, but please don’t ignore me. And do buy my books by the dozen. There are many aspiring writers eager to tell their stories to the world. What would be your advice to these new and aspiring storytellers? Do not write for an audience. Write for yourself! If name and fame has to come, it will. 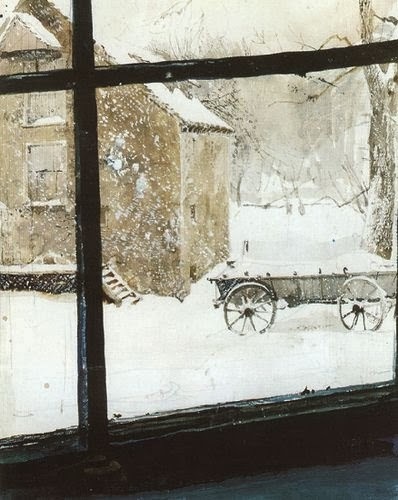 If it does not, at the least, nobody can take the rapture of creativity, the ecstasy of writing and the power to shape the destiny of the characters’ you create away from you. Thanks a lot Vivek for your time. Wishing you all the best for your future. This Poem is shared with Three Words Wednesday - Malevolent, Probe, Repulsive. This Haiku is shared with Haiku My Heart. "Momma, what are those dark spots on the moon?" "That is an old lady spinning yarn, my little boy." "Momma, why is the old lady spinning yarn?" "So that she can knit dreams for you every night." "Come on Momma," said five years old Jack giggling and playfully smacking his tiny forehead with his right hand palm, "don't you know this - there is no lady on the moon, those dark spots are hills and craters." This Micro-fiction is shared with Five Sentence Fiction - Moon. We were not supposed to fall in love, the customs of this world holding us back since long; perhaps, she was too naive to have crossed the forbidden lines, my heart following suit, blindfolded. Love wasn't a gift I could relish, but seeing her smile those fluttering lashes, I couldn't obey my mind, and fell deep into the crevice from which I could hardly find any other exit. She asked, her voice resonating against my heartbeats like a sweet melody, "Why do you keep talking of going away? Why can't we stay like this forever?" My lips quivered as I didn't know how to explain to her that our union wasn't possible; she was, after all, my reincarnation, my rebirth, in this era; and I, was her past, the figments of memories spanning across centuries trapped in her soul, that belonged to me as well, but refused to acknowledge our oneness. 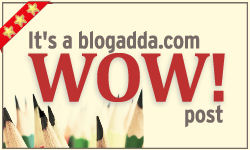 Contributors: Vinit K. Bansal, Mahi Singla, Kunal Marathe, Shalini Katyal, Udita Pal, Himanshu Appie Chhabra, Siddhartha Yadav, Heema Shirvaikar, Ishani Malhotra, Saravana Kumar Murugan, Tarang Sinha, Meghant Parmar and Heena Ahuja. Sudhi is a common ten year old notorious kid. Kannan is a common cool dad. Boss is a common mind bending terrorist. School is hectic, Work is crazy, so Sudhi and Kannan decide to bunk a day off from their routine lives. The trip is to the Elephanta Island located a few kilometres away from the coast of Mumbai. There is a surprise waiting for them in the form of three novice terrorists. As you read this, they are heading towards the island to capture it. It seems possible, since Boss knows a trick or two with hypnosis. Beware, the Coast Guard will be undercover. Hypnotized soldiers will take over the island. Bullets will rip through the night sky and a ten year old boy is about to change the course of every fool proof plan. This adventure is going to be a blast. You are invited. Krishna Raj H.K. wants to know more about writing. True, he has done his schooling from The Indian School-Bahrain. He has completed graduation from S.I.E.S-Navi Mumbai and holds a P.G. Diploma from I.I.P.M-Mumbai. A few years down the line, he begins to feel that there are uncharted territories when it comes to communication and word play ... or is it just Pink Floyd? An adventure novel, filled with dosage of humour, and bullet-ripping action; sounds like an interesting combo. Yeah, for sure. And that was one primary reason I picked up this book to read. ‘Sudhi Kannan: An Elephantic Adventure’ promised to be everything that would strike the chords of a voracious reader like me – drama, adventure, thrill and the chase. The cover, bright and attractive, invites you towards it, promising you on an adventure, an Elephantic one, which you wouldn’t like to miss. At least, I didn’t, and thus I started turning over the pages, one chapter at a time, slowly, gradually. The protagonists of the story, as the name suggests, are Sudhi, a ten year old notorious kid, and his father, Kannan. Kannan performs the role of a single parent, and is more of a friend to Sudhi than a preaching guardian. The father-son camaraderie is very well portrayed in the piece, and their constant banter and funny conversations often makes you smile. In fact, the book starts of as a light read, and the father-son duo is successful, to a certain extent, in catching hold of your attention straight away. The adventure begins when Sudhi and Kannan decide to skip the hectic lives of school and work, respectively, and relish a trip to the Elephanta Island, located near the coast of Mumbai. Pooja, Sudhi’s school friend, and her mother, Megha, too join them, and the day promises to be a good relaxing experience. However, things do not turn out as expected, and soon they find themselves trapped in a villainous scheme where they are taken as hostages by Boss, a terrorist who excels in the art of hypnotism, and his aides. Ransom is demanded, and the adventure progresses. The plot speaks smartly of uniqueness, with characters like Sudhi and Kannan, who are so different from the regular fares that we read about. Thus, we can see that the book has a lot of positives that the author can carry forward for his next venture. Unfortunately, it also has a few flaws that comes out as a hindrance to the flow of this story. The author takes his time to build up the events, and that somehow slows down the pace of the narration. True, characterization and shaping up the plot is a key ingredient in every story, but the recipe should have been taken care of as well. What happens here is that the story seems to lag behind in places, and that’s certainly not a good thing when the genre is young adventure. Also, several chapters appeared to be an extension of the previous ones. The result was that I felt like reading over the same thing again, with of course, a few differences. A better editing would have been appreciated, and definitely it could have led to a more compact and polished product. However, the author surely exudes a lot of confidence in adopting a unique plot so early in his writing career. 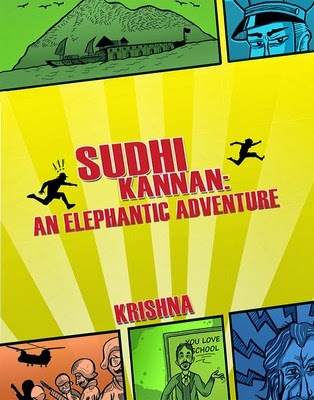 My guess is that 'Sudhi Kannan: An Elephantic Adventure' is just the beginning, the start, of a series of adventures revolving around this pair. If the author decides to come out with a sequel, I would love to get hold of it. However, as I already mentioned, a better job by the editors will surely do wonders, and I will be hoping for that in near future. This Small Stone is shared with Theme Thursday - One.